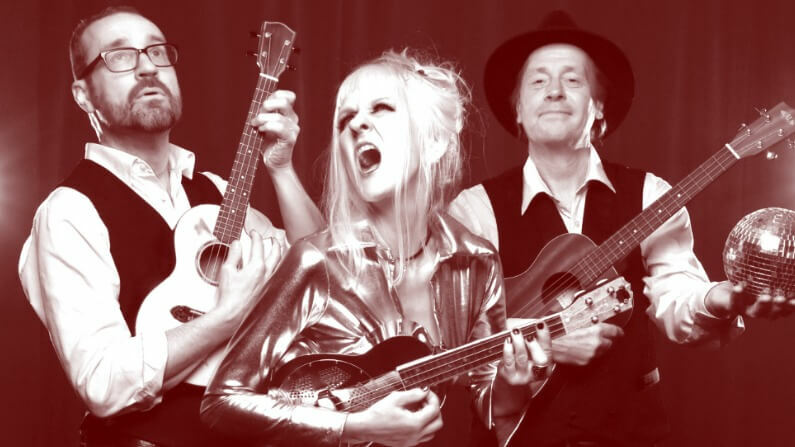 When The Chandelier Room in Melbourne, Australia closed its doors in June 2014, owner Anthea Palmer chose favored Singer-Songwriter and friend Stewart Kohinga to play the final set. 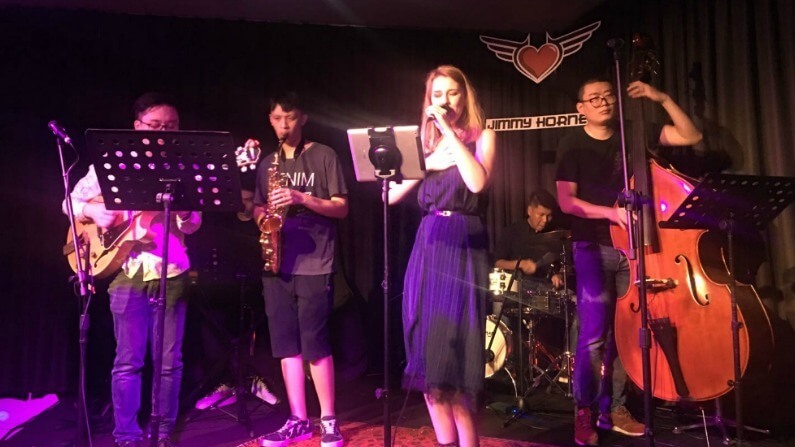 It, therefore, seemed fitting that Stewart Kohinga performs at the opening of Anthea’s latest venue (Jimmy Hornet) in Zhongshan, China in September 2016. 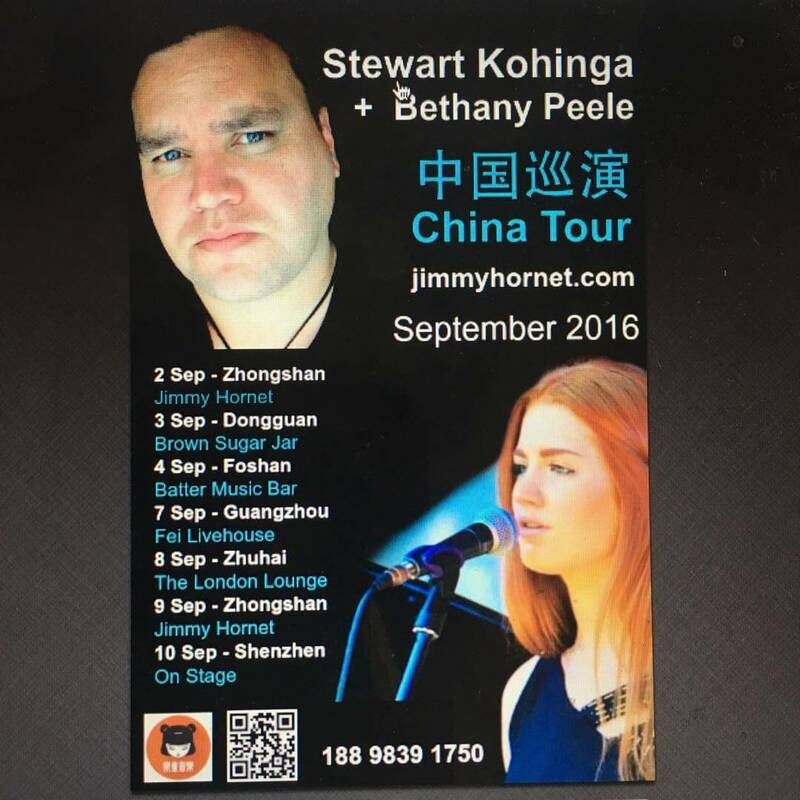 Asked to come with a guest performer, Stewart chose the super talented Bethany Peele to join him on the China Tour. 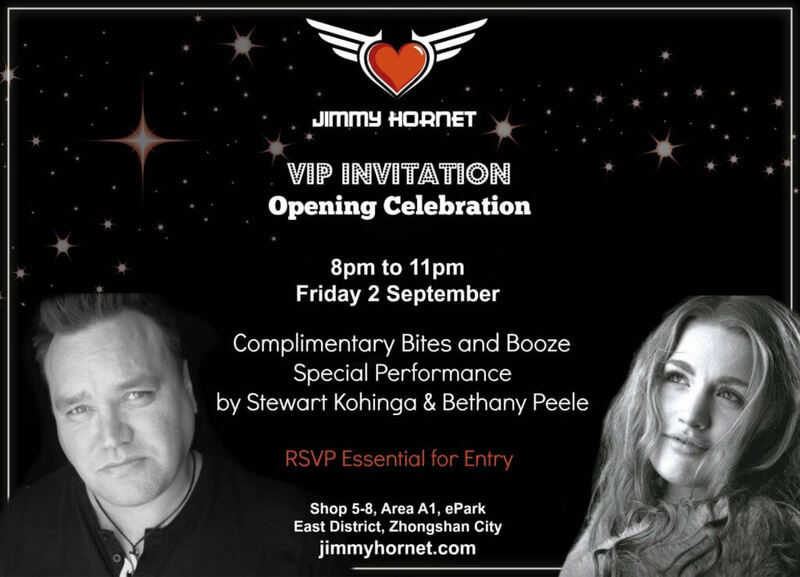 The first of seven performances was a VIP invitation-only event to celebrate the opening of Jimmy Hornet. With over one hundred and twenty guests in attendance, Stewart and Bethany wowed the audience with their beautiful rendition of cover songs, alongside the odd original composition. Never before had Zhongshan experienced an intimate performance venue with all care taken to ensure crystal clear sound quality. 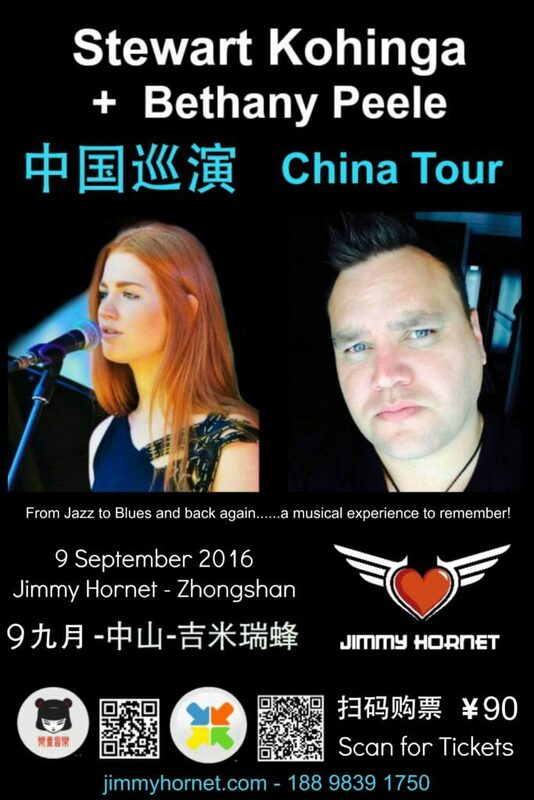 Stewart Kohinga and Bethany Peele performed at Jimmy Hornet, Zhongshan China on 2 September 2016 (opening event) and 9 September 2016 (public event). The Duo performed in five China cities within the Guangdong Province, being Zhongshan Dongguan, Foshan, Guangzhou, and Shenzhen. Unfortunately, the Zhuhai gig was canceled. Anthea received a panicked telephone call on the afternoon of the performance. The venue owner had been visited by the Police and warned they did not have the necessary Performance Qualification Certificate in order to host the event. Not only was the performance canceled, but given the Tour posters visible in Zhuhai, it was suggested that the performers avoid the city altogether. The other venues were unaffected by Police intervention and the tour continued without further incident. Hailing from Melbourne, Australia, Stewart Kohinga brings his superbly performed and crafted original songs to China. 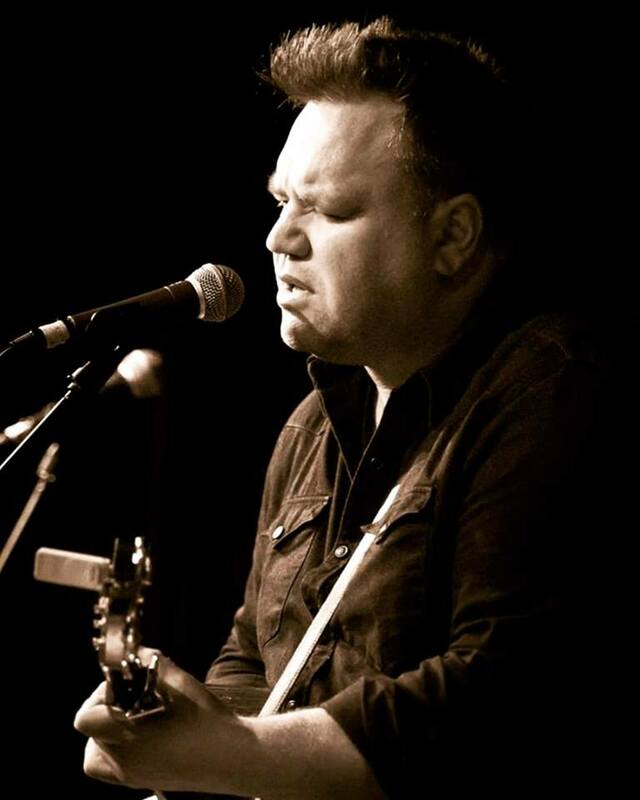 Heavily influenced by Americana, Roots & Blues, his soulful voice will transport you from the cares of your everyday. A seasoned entertainer and storyteller, Stewart has an uncanny ability at making people feel at ease in his company. With a sound as smooth as finely aged whiskey, catching Stewart Kohinga live is good medicine for the soul. The son of a Pentecostal preacher, Stewart grew up in a world full of ecstatic singing and free-form musicianship. This would leave an indelible mark on Stewart’s life and subsequently his music. Stewart’s wonderful guitar lines bare the hallmarks of the melodic stylings of Mark Knopfler and David Gilmour, coupled with a minimalism and vibrato technique inspired by the late, great BB King. Stewart’s songs resound with empathy for troubled, complex characters echoing themes found in many a Bob Dylan or Bruce Springsteen song. Whether it’s solo or accompanied by his exceptional band, catching Stewart Kohinga performing live is an experience to remember. One of Melbourne Australia’s pre-eminent emerging vocalists, Bethany Peele, recognized most often for her unique and warm vocals, is a captivating entertainer. With the ability to move audiences in powerful ways, the career of this young artist is sure to be bold and long-lived. 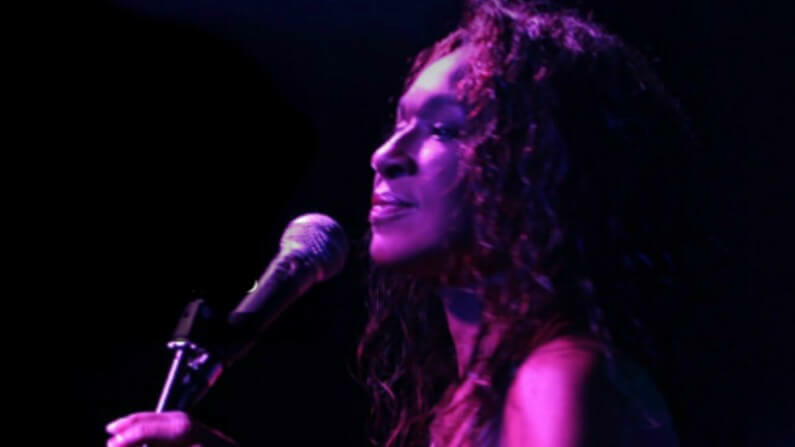 Confidently merging her beautifully developed tone with inspired phrasing, Bethany holds entire rooms spellbound by the honesty of her melodic storytelling. 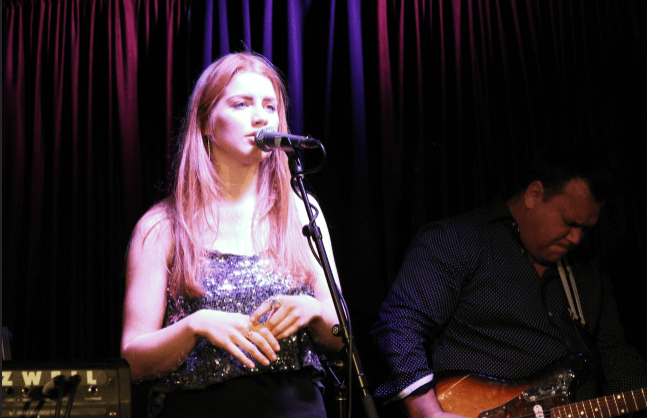 This young beauty has a voice that is often likened to artists such as Norah Jones, Amy Winehouse, and Adele.